As much as we wish we could, we can't accept all swaps that come our way. And while it can be tempting to just ignore any swap requests that don't take your fancy - remember, there's another person at the other end of your computer excited to swap with you. Here's our guide to saying no, nicely. Swapping is a little bit like dating: If you're just not that interested, you're both better off being honest, so no one wastes their time. 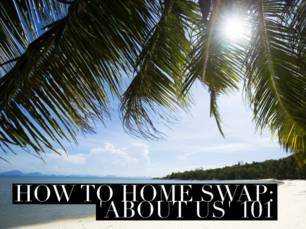 Love Home Swap also prioritises members with a good reply rate - so being brave and saying no, will increase your chances of attracting the right swap. It sounds like a difficult balance to strike, so we recommend following our 'sandwich' formula below. According to emotional intelligence expert Daniel Goleman, humans have a 'negativity bias' when it comes to online messaging. We struggle to interpret a message without vocal tone to help us out - so we tend to assume things are worse than they actually are. This means it helps to add some extra niceness to your messages. We recommend sandwiching the 'no' between some assailable positivity. The chances are there's something you like about their listing, so start with a compliment - even if it's on their funny cat pictures! Telling someone their home is "too small" probably isn't going to go down well - but that doesn't mean you shouldn't be honest about your reasons for declining. Instead try something like "unfortunately your home wouldn't accommodate our entire family/ party". It's the same sentiment, but less personal. If the problem is a lack of clear pictures, telling them could also be tremendously helpful, as that's something they can easily fix. If you've started your 'sandwich' style decline with a compliment and given your reasons diplomatically then it's time to finish it off with something else nice. A great way to do this is by signing off your message with some undeniable positivity, like 'best wishes', 'good luck with your search' or even 'please do keep in touch'. Our final piece of advice on saying no is to take a leaf from our founder Debbie's book and 'never burn a bridge'. 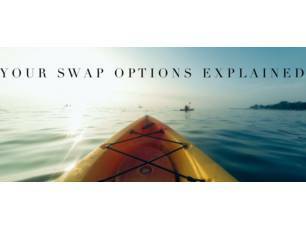 Just because a particular swap doesn't work for you right now, doesn't mean it won't in future. If you think there's a chance you could work something out another time, make sure you say so - it doesn't hurt.